Moroku is a mobile banking and payments platform for banks. We help banks compete on purpose not price by helping their customers be great at their banking and run better businesses through the deployment of our leading moroku GameSystem platform and supporting mobile banking applications. Moroku believes that treating financial services as a game is the most transformational opportunity available to executives looking for an opportunity to out compete the market. When we put our customer’s success at the heart of the product design process, framing everything in the context of a game, we force ourselves to answer the most fundamental questions around our purpose and relevance. 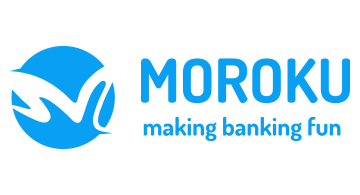 Moroku takes the principles of gaming, behavioural economics and engagement and applies them to build and run contemporary mobile banking experiences for banks on Moroku Game System. We drive customer engagement, financial literacy and action by making the mobile banking experience fun. Through the provision of a cloud service, banking templates and APIs we enable banks to rapidly and economically deploy digital banking experiences that empower banks customers to create their financial future. Moroku GameSystem is complete set of technologies for the deployment and operation of the next generation of mobile banking and wealth management applications. Its four components are configured, provisioned and licensed on the world’s leading banking cloud. Mobile App; Native iOS and Android mobile libraries help us build apps that customers download and use to get their banking done. Motivated individually and collectively players sign up, download and get to work. From initial onboarding to ongoing engagement the customer is guided on their journey to mastery. The bank provides the initial registration through internet banking that provides an authorization code and sets up and connects the transaction accounts with the app. Game Server; Non-banking interactions are all delivered through our cloud based GameServer. This incorporates the player management, their progress and performance. No Personally Identifiable Information (PII) is held within the GameSystem, enabling us to support most banking regulations with regards to the use of cloud infrastructure. An anonymisation service connected at the bank side manages the relationship between the GameSystem player and actual accounts at the bank. Game Console; Bank staff manage and review application information via the Game Console. Using portal credentials provided as part of the license, numerous aspects of the platform can be managed such as the game rules, in-app adverts, communities, quizzes, categories and imagery. Customisable standard reports are provided to measure performance and behaviours such as payments made, click through rates and customer acquisition. API; A RESTful API is provided as both documentation and reference implementation to integrate GameSystem with the bank’s payment and internet systems. This enables the registration process to be presented via the bank’s internet banking platforms, payments to be made, GameSystem data to be queried and adjustments made via third party systems.